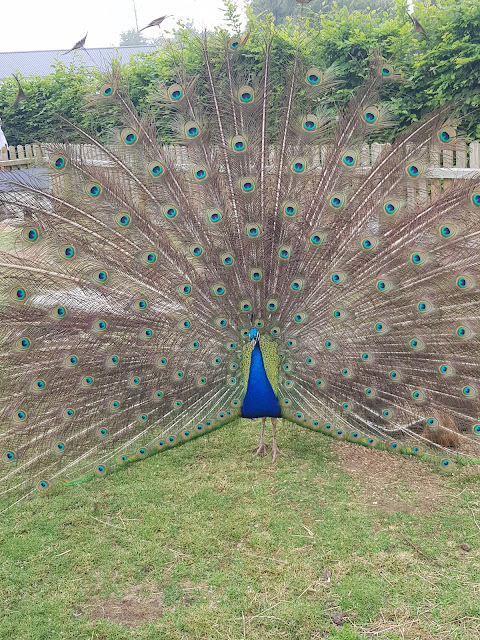 Managed to capture this beautiful peacock proudly showing us what he's got last week at Norfolk Lavender. How beautiful! Think I could stare at this all day. Nothing like a peacock, well, peacocking! Great shot. what a great capture - stunning! Very obliging peacock! Looks fab. Oh he is a beauty! I miss having a Peacock here on the farm, I'd love another one.